Since 1972 the eyewear of the Japanese brand Eyevan are handmade with high quality materials. Very popular in the 80’s, Eyevan frames are quickly adopted by young people and biggest celebrities. In 2013 a new collection is called Eyevan 7285 in reference to the key dates of the brand. Created from the archives of 1972-1985, frame design is adapted to new technologies and new materials. 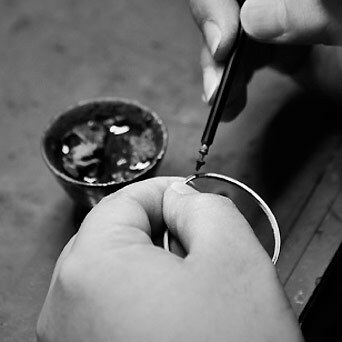 However, all the craftsmanship and Japanese high-precision original manufacturing conditions remain the same. Refined aesthetics and minimalist, rigor and delicacy of realization made these eyewear the must-have of neo retro made in Japan.